6.1 earthquake hits New Guinea, Papua new Guinea. 5.3 earthquake hits the Ceram Sea. Three 5.2 earthquakes hit New Guinea, Papua New Guinea. Two 5.0 earthquakes hit New Guinea, Papua New Guinea. Namibia – The Zambezi River in the north of the country is in flood after heaving rains in its catchment area. Schools and villages have been cut off by the floodwaters. Villagers have been warned to move their livestock to higher ground. Europe – Large parts of Europe have been hit by a freak winter storm, bringing rare snow and plummeting temperatures on much of the continent. Some parts of the UK are expected to feel colder than the Arctic Circle throughout the week. During the first four weeks of 2018, a rapid increase in the number of confirmed human cases of yellow fever was observed in the states of Rio de Janeiro, São Paulo, and Minas Gerais. From 1 July 2017 through 16 February 2018, 464 confirmed human cases of yellow fever have been reported in Brazil, including 154 deaths. Cholera has killed 29 people in Hoima District, medical officers have confirmed. The cholera outbreak was last week confirmed to have hit Congolese refugees in Kyangwali settlement camp who fled from fighting in the eastern Democratic Republic of Congo (DRC). “We have registered 962 (Cholera) cases out of which 29 people have died,” said Dr Joseph Ruyonga, the Hoima district health officer on Tuesday. 6.1 earthquake hits the Ceram Sea. Two 5.7 earthquakes hit New Guinea, Papua New Guinea. 5.5 earthquake hits New Guinea, Papua New Guinea. 5.4 earthquake hits New Guinea, Papua New Guinea. Two 5.2 earthquakes hit New Guinea, Papua New Guinea. 5.1 earthquake hits Unimak Island, Alaska. Three 5.1 earthquakes hit New Guinea, Papua New Guinea. Four 5.0 earthquakes hit New Guinea, Papua New Guinea. 5.0 earthquake hits Mindoro in the Phillippines. At least 14 people have died after yesterday’s powerful earthquake caused landslides in a remote region of Papua New Guinea (PNG), officials say. The 7.5-magnitude quake rattled villages and a large gold mine in the country’s Enga province on Monday morning. There are unconfirmed reports that the death toll could be as high as 30, with details of “extensive” damage emerging. The tremor caused ExxonMobil to shut its $19bn (€15bn) liquefied natural gas plant, PNG’s biggest export earner. A number of buildings collapsed and roads were blocked by the landslides. Some phone lines were also cut, Reuters news agency reports. During the Arctic winter, when the sun hides from October to March, the average temperature in the frozen north typically hovers around a bone-chilling minus 4 degrees Fahrenheit (minus 20 degrees Celsius). But this year, the Arctic is experiencing a highly unusual heat wave. 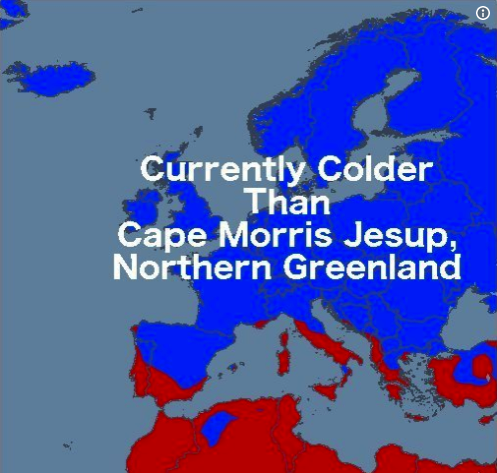 On Feb. 20, the temperature in Greenland not only climbed above freezing — 32 degrees F (0 degrees C) — it stayed there for over 24 hours and on Saturday (Feb. 24) the temperature on Greenland’s northern tip reached 43 degrees F (6 degrees C) – much warmer than it was in most of Europe at the time. Weather conditions that drive this bizarre temperature surge have visited the Arctic before, typically appearing about once in a decade, experts told Live Science. However, the last such spike in Arctic winter warmth took place in February 2016 — much more recently than a decade ago. And climbing Arctic temperatures combined with rapid sea-ice loss are creating a new type of climate feedback loop that could accelerate Arctic warming, melting all Arctic sea ice decades earlier than scientists once thought. On 3 January 2018, the Ministry of Health (MoH), Senegal notified WHO of a case of Rift Valley fever, a 52-year-old Korean man who was a resident of Gambia. The case was reported from a hospital in Dakar. In an update on the diphtheria and cholera outbreak situation in war-torn Yemen, as of Feb. 10, there are 1,032 probable diphtheria cases, including 64 associated deaths, in 161 districts among 20 governorates in the country. According to the World Health Organization, 1,068,520 cholera cases and 2,261 deaths as of February 25. The current outbreak started on Apr. 27, 2017. While the outbreak has slowed in recent months, UN health officials say that may change with the upcoming rainy seasons. 7.5 earthquake hits New Guinea, Papua New Guinea. 6.0 earthquake hits New Guinea, Papua New Guinea. 5.5 earthquake hits New Britain, Papua new Guinea. Two 5.4 earthquakes hit New Guinea, Papua New Guinea. 5.1 earthquake hits New Guinea, Papua New Guinea. Nine 5.0 earthquakes hit New Guinea, Papua New Guinea. Indonesia – Hundreds of houses in three villages in Situbondo Regency, East Java, inundated by flash floods as a result of river overflow after high intensity of rain poured over several areas in Situbondo. In addition to swamping hundreds of houses, flash floods also engulfed around 40 hectares of agricultural land belonging to local residents. 5.1 earthquake hits the south-western Ryukyu Islands, Japan. 5.0 earthquake hit northern Sumatra, Indonesia. Australia – The Australian National University (ANU) in Canberra has cancelled all classes and events for Monday after a storm triggered flash flooding in parts of the city on Sunday and forced several roads to close. Some parts of the city received more than February’s average rainfall in just a few hours. The city recorded 66.2mm, compared with the average rainfall for February of 51.2mm. Several adjacent suburbs were also flooded, local media said, with much of the floodwaters carried by Sullivans Creek, which runs through the middle of the campus. Ontario, Canada – A state of emergency and flood warnings remain in place in southwestern Ontario, though officials say damage from a local river appears to be less than expected. The Thames River, swollen by days of heavy rains and melted snow, is reaching its peak in most areas covered by the state of emergency. Bolivia – The Bolivian government is mulling whether to declare a “national disaster” due to severe flooding that has driven 85,000 people from their homes across the country. After touring flood-ravaged areas in Guanay, a town in north of La Paz department, Defense Minister Zabaleta told reporters in the capital that the heavy rains sparked by the La Nina weather phenomenon have claimed eight lives, washed away thousands of homes, and damaged cropland, bridges and roadways. Midwest USA – Flooding that prompted evacuations in parts of the Midwest persisted Friday in Michigan, Indiana, and Ohio and was expected to last through the weekend in areas that have been swamped by high water from heavy rains and melting snow. Waters receded in South Bend and Goshen, Indiana, but flooding remained there and elsewhere. The National Weather Service said a number of Michigan rivers could see record levels in the coming days. In Ohio, water swamped more roadways and basements and forecasters expected the Ohio River could reach levels not seen since the region’s deadly 1997 floods. Restaurants and other business and recreation spots from Cincinnati for miles east along the river closed, as water cut off roadways and swamped parks. Forecasters warned people living along rivers, streams and creeks in southern Ohio, southeastern Indiana and northern Kentucky to be especially cautious and prepared for rapid rises. The much-maligned dingo has emerged as an unlikely hero in a study of the relationship between bushfires and feral pests. Normally foxes and feral pests like cats enter recently burnt areas to pursue affected wildlife. but in areas where dingoes enter a burned area, foxes and cats stay away, effectively protecting the other species. 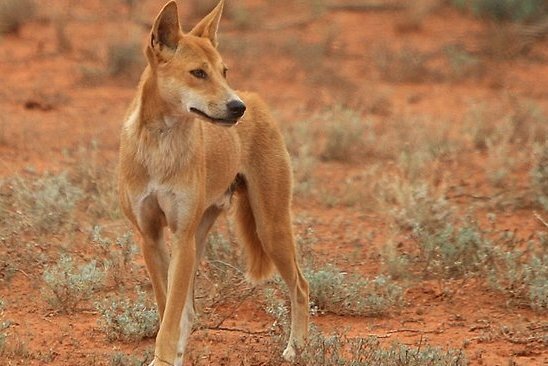 The dingoes hunt mainly kangaroos, but will hunt and kill foxes and cats as well when they are found in their area, creating a ‘landscape of fear’ keeping the other predators away. Officials with the UNHCR, the UN Refugee Agency say they are “deeply alarmed” with the deteriorating situation in the Kyangwali area, where as of Thursday, 668 cholera cases have been reported in Kyangwali Refugee Settlement in Hoima District in western Uganda. Of these, 26 died. South Africa – Heavy rains have hit the Lowveld with localized flooding in some areas. Up to 85mm in 24 hours was recorded in Barberton, Sabie and Hazyview. Australia – Torrential rain has flooded south-east Queensland. Eight people have been rescued after being caught in flash flooding on the Sunshine and Fraser Coasts as much of the state continues to be hammered by heavy rain. In Brisbane, cars have been stranded in low-lying areas. On the Sunshine Coast, Nambour reported 96mm on Friday morning. But most of the severe weather system was starting to impact the Gold Coast. The highest falls have been in the hinterland, Mount Tamborine received 145mm in 6 hours on Friday. Midwest, USA – A state of emergency has been declared across Kentucky as it prepares for more heavy rain through the weekend. The Ohio River is approaching its highest level in 20 years and more rain is forecast across the region. In Louisville some residents are going to work by boat. An IDP camp north of Raqqa, Syria has reported 60 cases of German measles (rubella) in the past few days. The cases were reported in children and some adults. One death of a child was reported. The Ain Issa camp, about 50 km north of Raqqa, includes approximately 3,000 tents and inhabited by more than 20,000 displaced people from Raqqa and Deir Al-Zour. Victoria’s health regulator is investigating three cases of legionnaires’ disease possibly linked to contaminated cooling towers in central Melbourne. Three men, aged between 52 and 72, reported visiting the CBD before they contracted the bacterial infection in early to mid-February.